AWARE wants to help you get your cats spayed and neutered! We are pleased to offer discount vouchers to residents of Chowan, Gates and Perquimans counties. All surgeries are performed at participating veterinarian hospitals. Vouchers are available to all residents of Chowan, Gates and Perquimans counties. Discount voucher to be applied toward the cost of surgery at participating veterinarians. Veterinary hospitals will also give an additional discount to AWARE clients for spay/neuter services. If you are a recipient of Medicaid or Food Nutrition Benefits (EBT, SNAP), you are qualified to have your cat spayed or neutered at participating veterinarians for only $9! Upon receipt of your application, proof of residency, proof of financial assistance and $9 payment, a "$9 CatFIX" voucher will be sent to you. If for any reason the surgery cannot be performed, your $9 payment will be refunded. Click here to download CAT application form or call toll free 1-866-315-6032 and an application will be mailed to you. 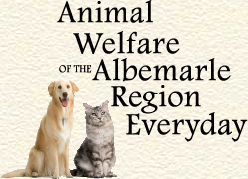 Applications may be also picked up at Tri-County Animal Shelter and Adoption Center, 138 Icaria Road, Tyner, NC.